Brooklyn has increasingly become home to a number of internet start-ups, and now the crowd-funding site, Kickstarter, is the most recent one to put roots down in the borough. 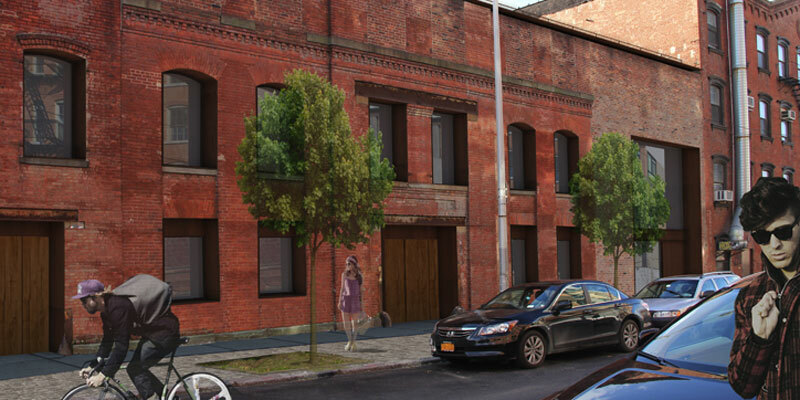 Greenpointers reported today that Kickstarter has already started construction on its new 29,000-sq-ft headquarters at the former Eberhard Faber Pencil Co. Factory in Greenpoint. The plans for the landmarked building will include an inhabitable greenroof, gallery, theater, and office space. Ole Sondresen is in charge of the renovation, and from what it looks like, he’s had his hands in a number of local projects, such as Etsy’s new headquarters in DUMBO, the Williamsburg Complex, the recording studios for Carl Barc and The National, and several restaurants and boutiques. Sondresen will also reuse the steel trusses salvaged from the factory’s old roof for a glass courtyard.